Biore Marshmallow Whip Extra Moist: Same Fun Foam, Better Moisturization! 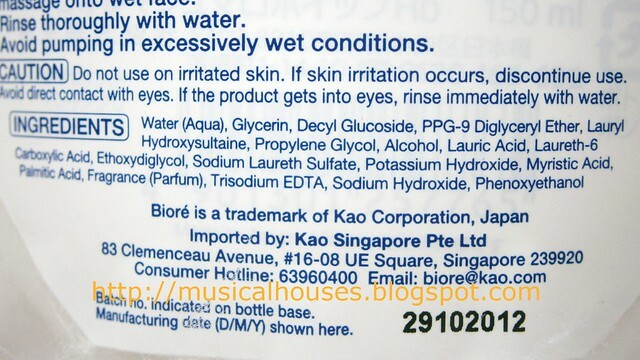 Back in 2011, Biore launched their Marshmallow Whip Facial Wash, which I reviewed (said review is interesting, by the way :P). Fast forward to 2013, Biore has now come out with more variants of the Marshmallow Whip Facial Wash, which is Acne Care and Extra Moist, in addition to a reformulation of the Regular variant. So how is this new variant, is it really new and improved? Biore Marshmallow Whip Extra Moist: New and Improved! I know you guys were expecting me to review the Acne Care version, but...I have here the Extra Moist one. Muahaha. Well I'd be keen to check out the Acne Care one, too, but I thought given that my last review on the Marshmallow Whip Facial Wash claimed that it was fine but dried out my skin, I thought that it might be good of me to give the Extra Moist version a shot. After all, the Regular one was rather drying, so it would be great if the Extra Moist one worked out fine. Same cute bottle. Acne Care has a green lid, Extra Moist has a yellow lid, and Regular is pink. The packaging is the same, and the foam is also the same. The foam is pretty fun to use, still, although it is no longer novel because after Biore put out the original foaming cleanser, a whole bunch of other Asian brands followed suit. The foam is fun to use, and is definitely different from other cleansers, although I still retain my doubts over whether the foam format really allows the cleanser to clean the skin better. After all, the ingredients are the same, and the method by which facial cleansers work are still the same, regardless of whether it's in a foam or liquid or gel or so on. The good thing about the Extra Moist version is that it is actually quite gentle in its cleansing action, and this variant did not dry my skin out like the original Regular versison did. My skin did not feel tight after washing, as happened with the Regular version, so I definitely prefer the Extra Moist variant. Same puffy cloud of fun-to-use foam. 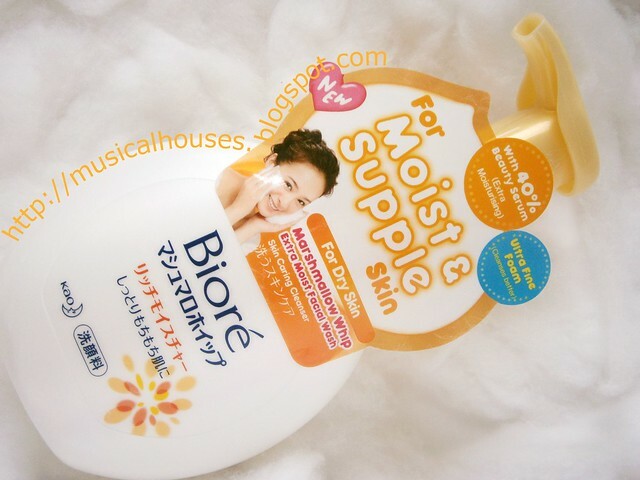 If you look at the ingredients list, you can see that Biore has really put effort into making the Extra Moist version, well, extra moist. There is the use of glycerin and PPG-9 Diglyceryl Ether (instead of sorbitol in the original version) function as humectants and emollients in the product, and the surfactants used, in this case, mainly decyl glucoside, are quite mild as well. 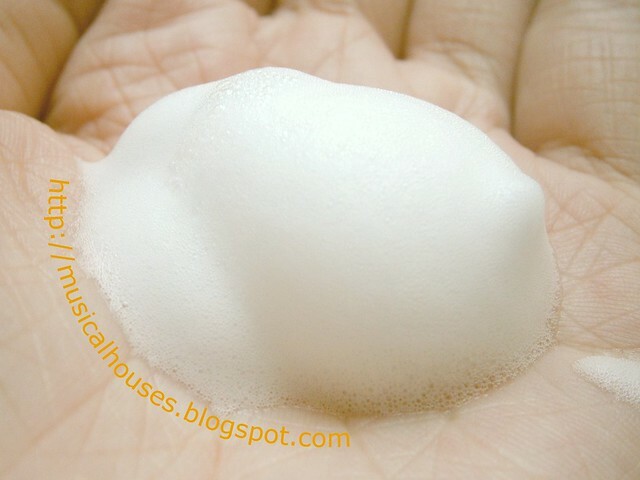 And then to ensure that the foamy fun remains, there are foam boosters such as lauryl hydroxysultaine. So yes, you do indeed get the foaminess, without having the product dry out your skin. While I didn't really like the original Marshmallow Whip Facial Wash all that much, primarily because it left my skin feeling dry, and all the marshmallow/bubble ads seemed to generate a disproportionate amount of hype to me (dear advertisers, there is indeed such a thing as advertising overkill, especially if the product in question seems gimmicky). Now that Biore has reformulated to include an Extra Moist version, and now that I'm no longer bombarded by obnoxious ads, I actually quite like this. I'm almost done with my bottle of the original Biore Marshmallow Facial Whip, and I'll probably replace it with this when it is done.